After Google made its Android users happy by unveiling new features in Google I/O developer conference last month, it’s now time for Apple fans…WWDC 2015 event is upon us. Apple’s Worldwide Developers Conference is going on in San Francisco and the company has many new surprises for its users. One of them is the new operating system for Macs, which Apple unveiled on stage on Monday. Yes, El Capitan — the famous mountain in Yosemite National Park — is the latest version of Apple’s desktop operating system that. What are the best features of EI Capitan? EI Capitan is the Apple major move towards providing a better desktop experience to its users. With OS X El Capitan, Apple wants to focus heavily on performance improvements to make its Mac computers "snappier and more efficient." 1. New smarter Spotlight — Spotlight search had been more powerful than before, with the ability to respond to queries in natural language, like asking it to search for "Documents I worked on last June." 2. Safari with huge update — In Safari, Apple has introduced a new "pinned sites" feature that will allow you to pin your favorite websites you visit most often for quick access. 3. Improved Gesture capabilities — Mac users will now be able to swipe to delete messages in the mail app, just like in the case of mobile iOS. 4. New Notes app and improved Mission Control interface — It allows you to snap a juggle Windows more quickly by snapping them side by side the screen, or by creating a Split View, which splits screen into two halves, allowing you to use multiple apps in fullscreen mode. 1. Apps and Files Open Fast — In EI Capitan, applications and PDF files are said to open faster than before. Where apps open up 1.4 times faster, PDF files open up four times faster. Moreover, switching of apps is twice as fast as we are experiencing with Yosemite. 2. Support for Metal — This could excite app developers and gamers that Apple is bringing Metal programming language to the Mac. Apple introduced Metal for graphics on iOS 8 last year. …Metal could encourage developers to take advantage of this gaming engine and invest their more time and resources to bring their games to Apple's desktop platform. 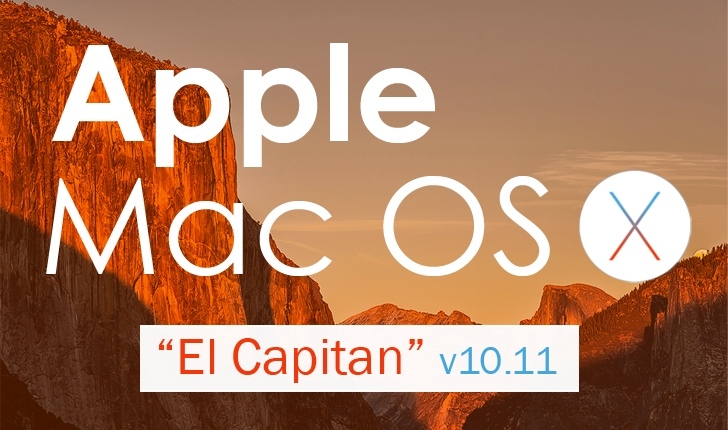 The new OS X El Capitan is available for developers, however, Apple users have to wait for a while as the company will roll out the new OS X El Capitan as a free upgrade for all Mac users in the fall.